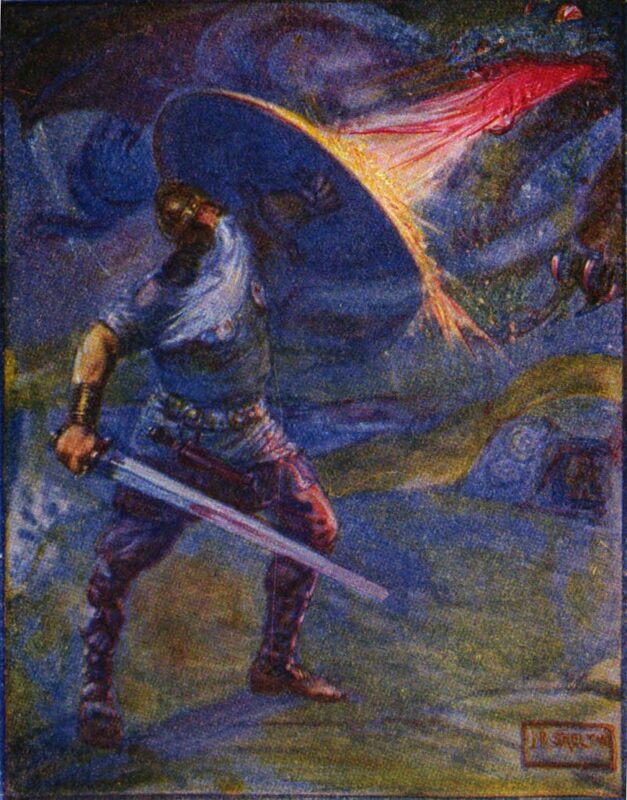 It’s been a towering landmark in the world of English literature for more than two centuries, but Beowulf is still the subject of fierce academic debate, in part between those who claim the epic poem is the work of a single author and those who claim it was stitched together from multiple sources. In an effort to resolve the dispute, a team of researchers led by Madison Krieger, a post-doctoral fellow at the Program for Evolutionary Dynamics and Joseph Dexter, who received a Ph.D. from Harvard, turned to a very modern tool – a computer. Using a statistical approach known as stylometry, which analyzes everything from the poem’s meter to the number of times different combinations of letters show up in the text, Krieger and colleagues found new evidence that Beowulf is the work of a single author. The study is described in a April 8 paper published in Nature Human Behaviour. In addition to Krieger, the study was co-authored by Leonard Neidorf from Nanjing University, an expert on Beowulf whose numerous studies include a book on the poem’s transmission, as well as Michelle Yakubek, who worked on the project as a student at the Research Science Institute, and Pramit Chaudhuri from the University of Texas at Austin. Chaudhuri and Dexter are the co-directors of the Quantitative Criticism Lab, a multi-institutional group devoted to developing computational approaches for the study of literature and culture. Using those metrics, Krieger said, the team combed through the Beowulf text, and found it to be consistent throughout – a result that lends further support to the theory of single authorship. 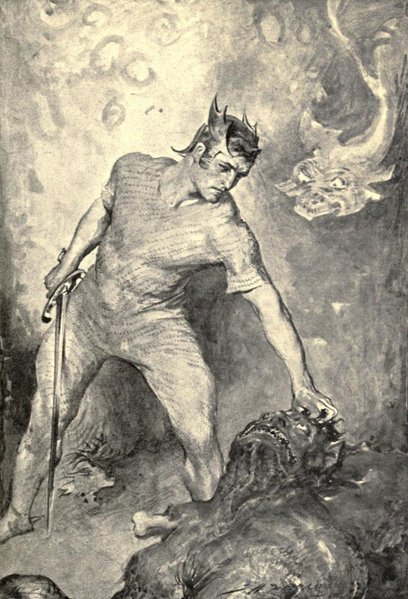 The study is just the latest effort to pin down Beowulf’s often-mysterious background. The second debate among Beowulf academics, Krieger said, is related to whether the poem was the work of one author, or many. One piece of evidence that has factored into debates about unitary composition can be seen just by looking at the text. “The handwriting is different,” Krieger said. “At what I would call a random point in the poem, just mid-sentence, and not really an important sentence, the first scribe’s handwriting stops, and somebody else takes over. It’s clear that the second scribe also proofread the first scribe, so even though currently nobody really things that these two guys were different poets, or were joining together parts of a poem at this random mid-sentence location, it has helped contribute to a narrative according to which the writing of Beowulf, and maybe its original composition, was a long and collaborative effort. For the nineteenth century, the prevailing view among academics was that the poem must be the work of multiple authors. It wasn’t until the early 20th century that another author – one whose name is all but synonymous with epic storytelling – began to challenge that idea. At the heart of Tolkien’s argument, Krieger said, was the way in which Christianity is reflected in the text. Though he acknowledged it’s unlikely the new study will be the end of the debates about Beowulf’s authorship, Krieger believes it can shed important new light on English literary traditions. Going forward, Krieger and colleagues are hoping to apply the stylometry tools developed for the study to other literary traditions and other landmark works. Krieger also hopes to use the techniques to understand the stylistic evolution of English across history. Aside from their ability to shed new light on works of literature, Krieger suggested the stylometry tools used in the study might also have some thoroughly modern uses – including spotting troll farms and fake news online. Ultimately, though, Krieger believes the study is a prime example of how ancient texts still hold secrets that can be uncovered through the use of modern tools. This research was supported with funding from a Neukom Institute for Computational Science CompX Grant, a National Endowment for the Humanities Digital Humanities Start-Up Grant, a New Directions Fellowship from the Andrew W. Mellon Foundation, a National Science Foundation Graduate Research Fellowship, and a Neukom Fellowship.